Why is it that certain things always seem to play out in slow motion? Like the other day when my phone slipped out of my hand and careened towards the cold, hard, unforgiving metal of the shopping cart and the unsympathetic tile floor. "Nooooo......!!!" [Picture extended fingers grasping just out of reach.] Cue deep breath as I pick up the phone to survey the damage. Just as I suspected, cracked screen. Ever since I've owned a mobile phone I've been dropping them. The most usual suspects are the times I enter or exit my car, but there have been plenty of other mishaps along the way. 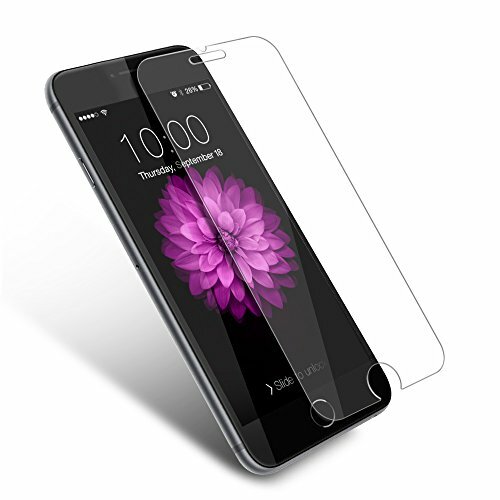 Smart phones are especially vulnerable to damage because of the large glass screen. And repairing said screen is not cheap. It will typically cost you around $100, give or take. So when I purchased my last phone, I decided to buy a glass screen protector. It's thin, totally clear, and takes the damage that your phone's precious screen would otherwise take. There are plenty of companies that will sell you one for as much as $40, but the one I decided to purchase was only $6. This was $6 well spent because after peeling off the broken screen protector I was pleased to see that my phone's screen was in pristine condition. My EZPZ tip is if you have a bad case of the dropsies like me, save yourself some heartache and cash by investing in a glass screen protector. You won't regret it! iPhone users, do this right now! Did you know your iPhone has a feature called "WiFi Assist" that may be running up your cellular data charges unintentionally? If your mobile data plan has a cap with data overage charges, this could cost you a pretty penny. WiFi Assist, a feature that’s turned on by default in iPhones running iOS 9 will automatically use cellular data if WiFi connectivity is weak. This can happen even when you are not actively using the phone, like in the middle of the night! If you don’t want this to happen to you, there is a not so EZPZ way to turn it off. 3. Scroll all the way down and toggle WiFi Assist off. By placing the WiFi Assist toggle at the very bottom, it seems likely that a lot of users will never even know it is there. I was relieved to see that I didn't have this turned on. This article does a great job of explaining the issue.